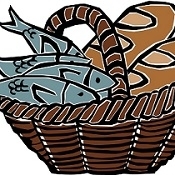 You are invited to the Loaves and Fishes community meal and food distribution on the third Saturday of each month from noon until 1:15 pm. The purpose of this ministry of Mt. Olive UMC is to reduce food insecurity in our neighborhood. On the third Saturday of each month, church and community volunteers come together to prepare and serve a nutritious community luncheon and distribute groceries to those who need them. Food is generally available on an emergency basis during the week by contacting the Mt. Olive UMC office at 410-922-2853.